Synth guru Ross Kelly investigates Akai’s legendary MPC series of samplers and their evolution over the past three decades in this spotlight series exploring the vintage gear that has had historical influences on music. 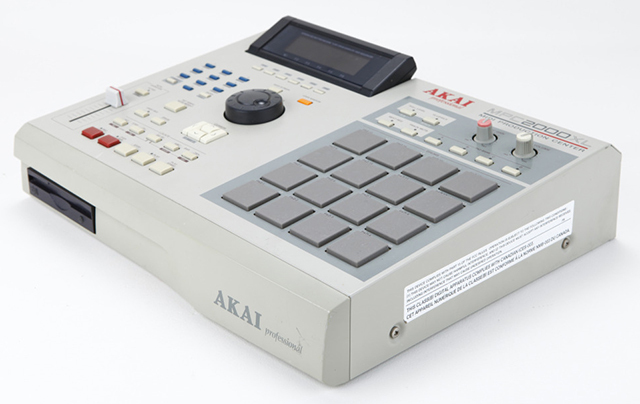 Akai’s MPC Series brought sampling and MIDI sequencing to the masses in the 1980s. In the process, it changed the sound of popular music and the way modern music is made. Immediately following its release, it became the sampler for creating beat heavy sample-based music. Innovative design, stability, and a tank-like build quality helped create the MPC legend, but the true strength of this series is its musicality. The feel and groove that can be achieved with the swing function on these machines have been well known in electronic music’s inner circles for years. 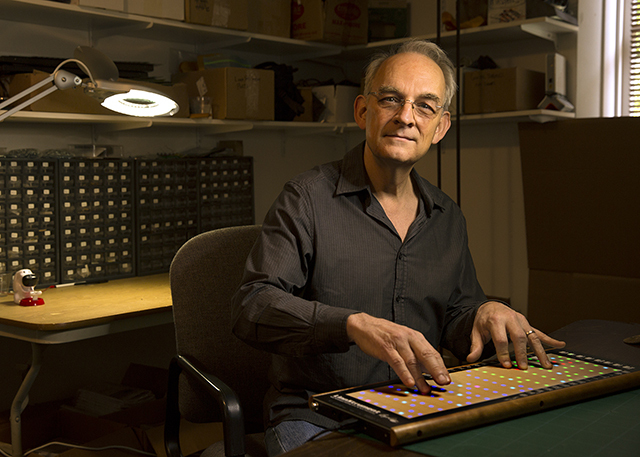 The story begins with Roger Linn, who’s Linn Drum revolutionized the world of drum machines in 1981. The Linn Drum was the first drum machine to feature real sampled drum sounds, quantization, and his now legendary swing function. It captured the imagination of musicians and became synonymous with the sound of 80s popular music, forging his reputation as a prime innovator in the world of electronic musical instruments. Roger’s next innovation was the Linn 9000, the world’s first all-in-one sampling drum machine and MIDI workstation (along with the Sequential Circuits Studio 440). Unfortunately, the Linn 9000′s problematic development led to the demise of his company, Linn Electronics. The closure of his business steered Linn to collaborate with Japanese electronics giant Akai, and create the MPC series. This move would again attach Linn’s name to a musical revolution and the sound of 90s popular music. Many of the Linn 9000’s design innovations, such as the rubber drum pads, and the ability to function as both a drum machine and a sequencer came to fruition with the MPC60. Unlike the 9000, which was plagued by glitchy software and unreliable hardware, the MPC came to market fully realized and solid as a rock. In the MPCs, Linn’s innovations became industry standards that are still relevant today. The MPC60 released in 1988 quickly became the all-in-one music production studio widely used in Rap and R&B music. It’s key features include 16 velocity-sensitive pads, 16 voice polyphony, four pad banks (64 voices per program), 16-bit ADC and DAC with data stored in 12-bit format, 750kB sampling memory (upgradeable to 1.5MB), an internal 3½” floppy drive, and a large tilting LCD screen seen on many later MPC models. Several of these features are also similar to those included on Akai’s S900 and S950 rack samplers, and the 99 track sequencer. The MPC60 was also equipped with two MIDI inputs and four MIDI outputs that enabled it to control an entire MIDI production studio with up to 64 MIDI output channels. Version two of the MPC60 was reissued in 1991. The only major changes was a smaller plastic case and the addition of a headphone output. The MPC60 sequencer (without the drum machine or sampler) was also sold as a standalone unit called the ASQ10. Original MPC60 training video featuring the creator, Roger Linn. Following the success of the MPC60, Roger Linn was hired to design the MPC3000. The 3000 mated the MPC sequencer and pads to a 16-bit, 32 voice stereo sampling engine based on the popular S3000 rack sampler. The memory and storage also received an upgrade with a maximum of 32MB of RAM, a high-density floppy drive, and a SCSI connection for hard drives. Other improvements were the addition of a filter, effects processing, and streamlining of the operating system. The upgraded sampling engine and features made this one of Linn’s most popular designs of all time. His current company, Roger Linn Designs, still offers upgrade kits that give the MPC60 some of the features of the 3000. 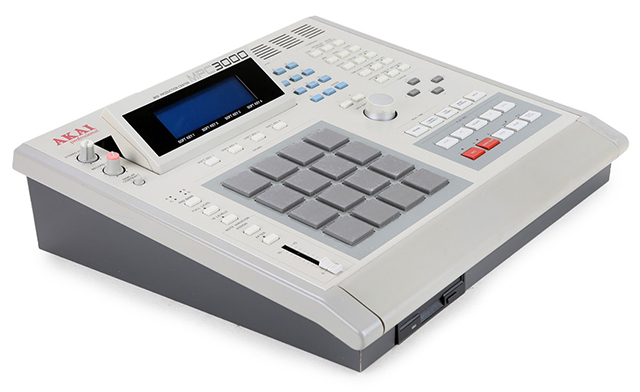 The MPC3000 was also heavily used in Hip Hop, Rap, and R&B productions. It was also becoming popular in house and techno productions. The MPC3000 was commonly used as the main percussion groove instrument. This all-in-one production instrument allowed you to sample, sequence, and edit beats with ease. It also served as an excellent sampled-based synthesizer. Samples can be shaped and processed through various analog-style edit functions great for creating lo-fi sounds that can filter swept to create some cool modulated effects. DJ Quik talks about his experience with the MPC instruments throughout the years. Within two years of the MPC3000′s release, Akai had gone into bankruptcy, and a majority share of the company was purchased by the Numark Corporation. Roger Linn stopped receiving his royalty checks but decided not to challenge the new owner in court, fearing an expensive, drawn out litigation. As a result, Akai continued to release new MPC models without the help of Roger Linn, and do so to this day. The first model released following Linn’s departure was the MPC2000 in 1997. The 2000 has a 16-bit sample engine based on the S2000 rack sampler, and add features like graphical sample editing, but drops the adjustable screen. The MPC2000xl, released in 2000, brings the adjustable screen back and adds a slew of features including four bank select buttons (as opposed to one), time stretch, automatic chromatic sample assignment across the pads, and an internal IDE connection for adding hard drives or replacing the floppy with a card reader. The MPC2000 was followed by the MPC4000, MPC2500, and MPC1000. All of these models are based on the original Roger Linn designed MPC3000 operating system ported to newer hardware, and improved with technological advances to keep them relevant. 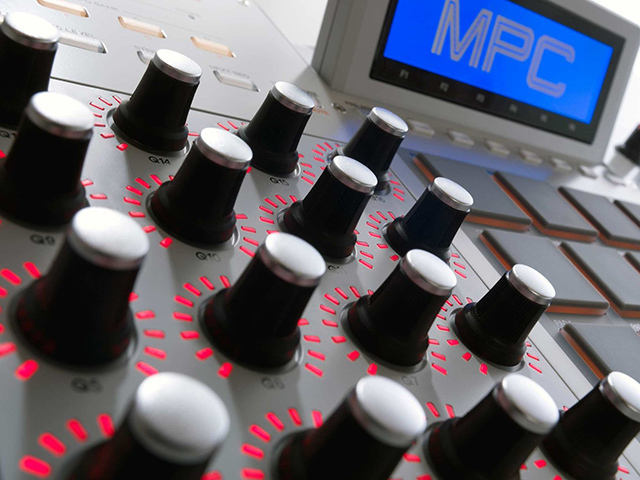 Most of the improvements to newer MPCs make them easier to use and integrate with modern studios. Some examples include the addition of USB and the inclusion of compact Flash storage. As you may expect, sample memory continues to expand, following the curve of improving technology and reduction in cost. Pete Rock demonstrates some of his MPC techniques. Akai’s continued development of the MPC series indicates its forward relevance in music production. Very few musical instruments have had such long production runs or achieved such iconic status. Guitar designs like the Fender Stratocaster and Gibson Les Paul come to mind as being in the same league. Not only are they popular in their own right, but they also set the tone for all electric guitars that followed. The MPCs have had a similar influence on the world of drum machines. Quantize and swing, now part of the standard vocabulary of sequencing, are direct products of Roger Linn’s designs. The four-by-four grid of drum pads has been copied continuously by several other companies, starting with the Roland R-8 released one year after the MPC60 in 1989. Some manufacturers have even gone head-to-head with Akai, producing sampling drum machines such as the Ensoniq ASR-X and Roland MV8000, both of which borrow heavily from the MPC design. The continued relevance of the MPC is also seen in the myriad of MIDI controllers and software that feature MPC derived interfaces and features. Units like Native Instruments Maschine mate the MPC form and function with powerful computer software. Recently, Akai has jumped into this market with the creation of the MPC Renaissance and MPC Studio, both of which offer MPC-style hardware coupled with the flexibility and power of software. The influence also extends to countless other types of MIDI controllers and is even seen in software designs such as Ableton Live’s Drum Racks. The MPC is best known as the sound of the 80s and early 90s Hip Hop and dance tracks. After ruling drum machine culture for more than 20 years, it has become a studio staple used across all types of popular music. 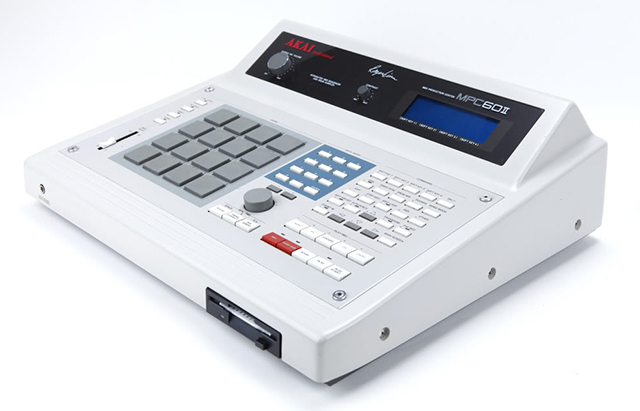 Some artists that are known to use the MPC series include De La Soul, Aphex Twin, DJ Shadow, Alchemist, Dam Funk, Trent Reznor, Dr. Dre, J Dilla, Underworld, Chemical Brothers, DJ Quik, DJ Premier, Kanye West, The Dream, Moodymann, The Drum, Just Blaze, Jermaine Dupri, MF Doom, Dabrye, Teddy Riley, Babyface, BT, Crystal Method, Jean-Michel Jarre, Apollo 440, A Guy Called Gerald, Roni Size, Linkin Park, Todd Terry, Freddy Fresh, and countless others.